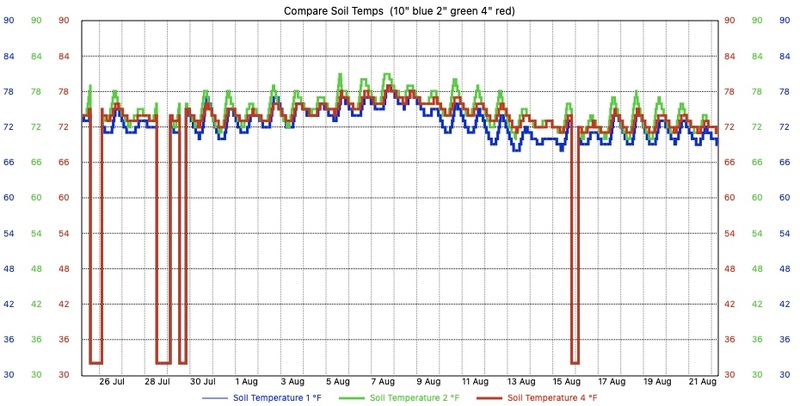 The Soil Data provided on this page is made possible by the generous folks at Davis Instuments [link] and Sierra Communications [link]. 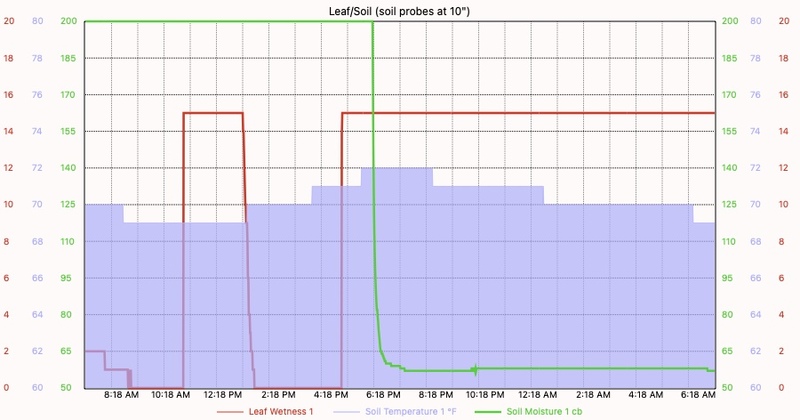 They have provided a Davis Wireless Leaf & Soil Moisture/Temperature Station [link] for my testing and review. Thanks for allowing us to experiment with this equipment, and hopefully provide useful information for our own garden as well as for our readers. are buried 10" deep in our vegetable garden in sandy loam soil. The Leaf Wetness Sensor is mounted 14" above the ground facing north. 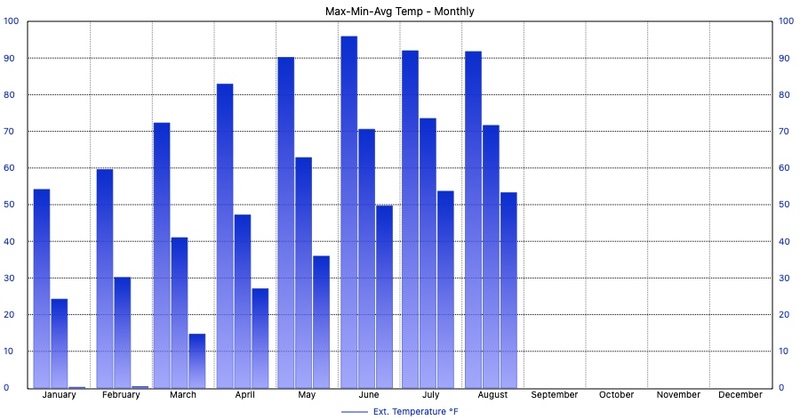 This is a monthly graph comparing maximum, minimum, an average external temperatures. 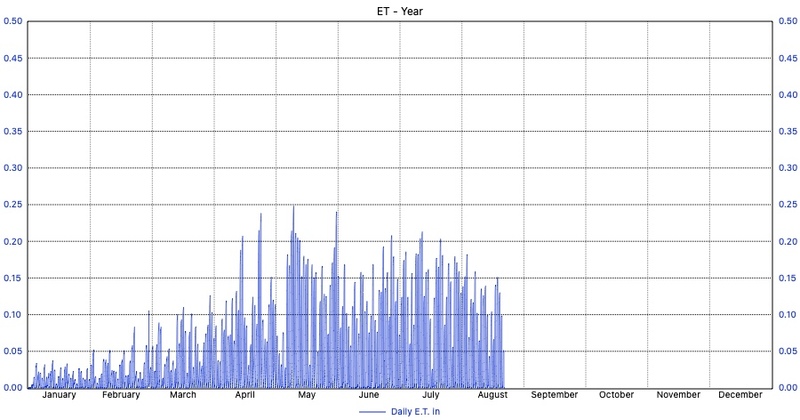 This is a yearly graph showing evapotranspiration (ET). 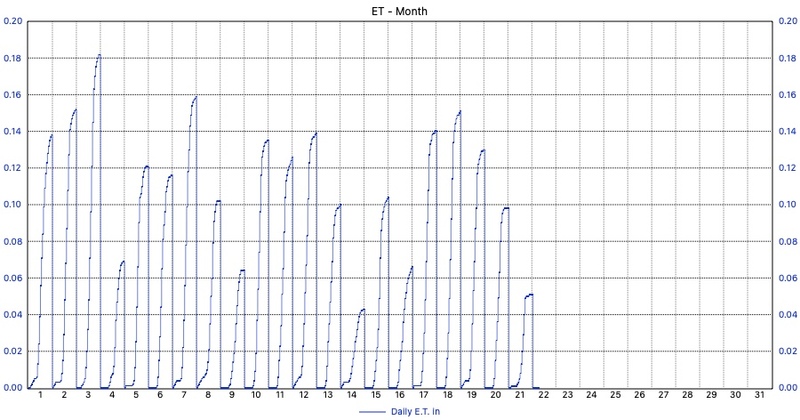 This is a Monthly graph showing evapotranspiration (ET). 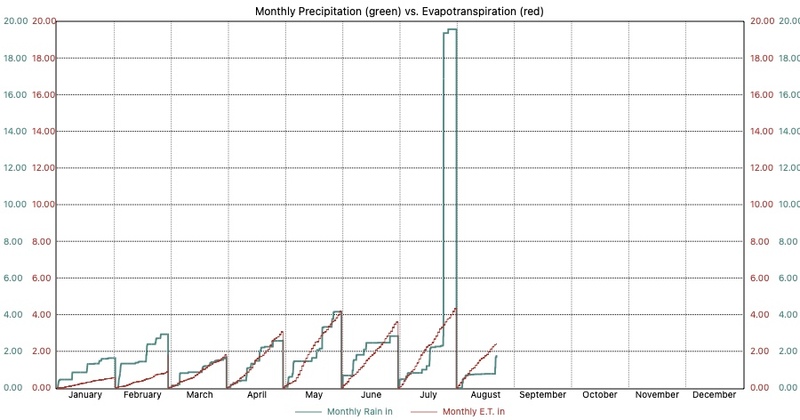 Here is a graph showing evapotranspiration overlayed with the precipitation for each month. 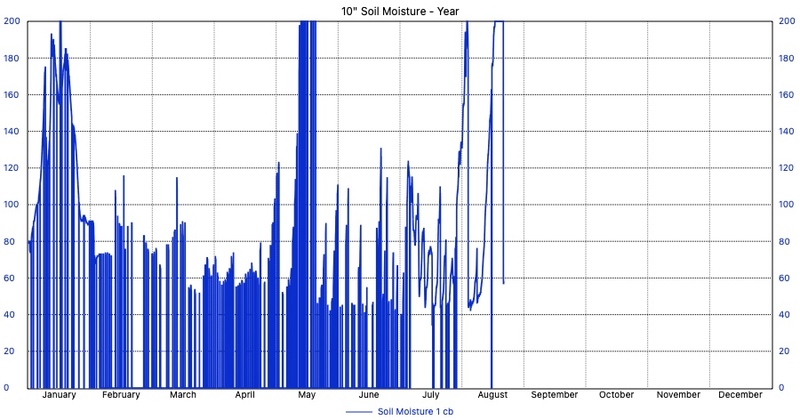 You can easily see which months we were behind on rain. Note: Our location is on one of the ancient glacial beaches, so our soil is very sandy. In over 20 years living here, we've never had standing water in the yard from rain. 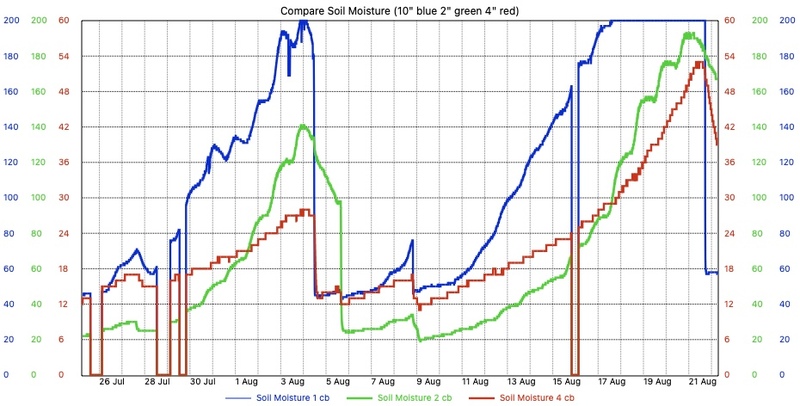 So our soil moisture tends to be higher numerically (drier) than would be typical in soil with more clay content.